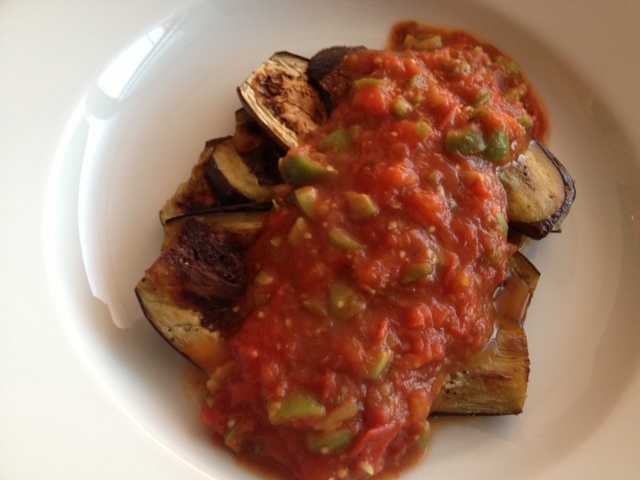 Roasted Baby Eggplant With Tomato & Olive Sauce. 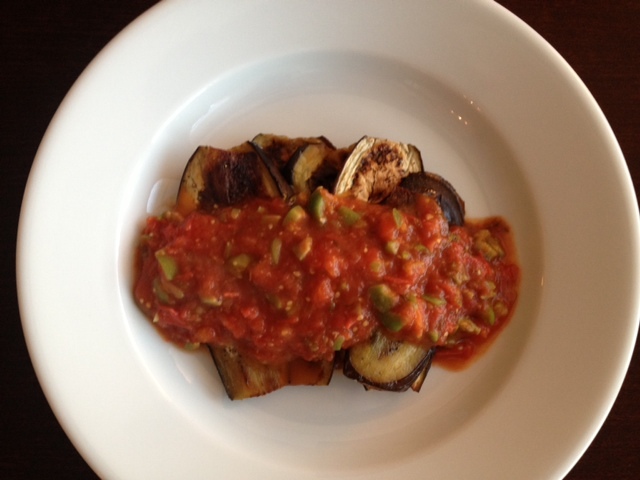 This recipe features some of my favorite things— olives, dill and eggplant. It’s is a light and healthy recipe that is full of bright and bold flavors. It’s fast and easy to make, too! 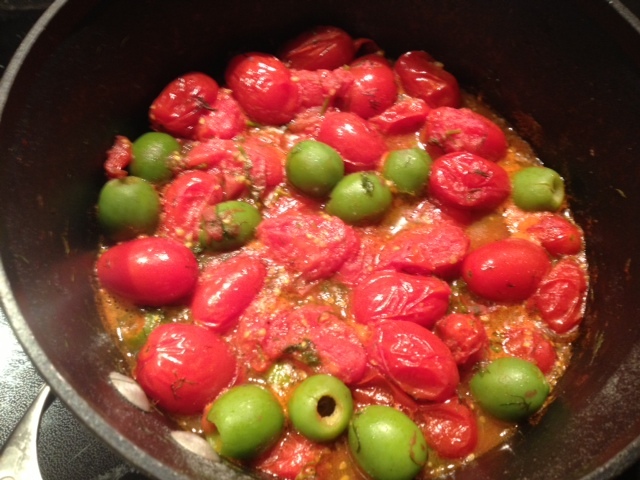 Heat 1 tbsp of olive oil in a large pot on the stove add in the garlic and whole tomatoes. Cook on medium heat for about 20 minutes, stirring often, until the tomatoes start to cook down and get softer. Add in the dill and olives and season with a dash of hot red pepper flakes and continue to cook for 10 more minutes. 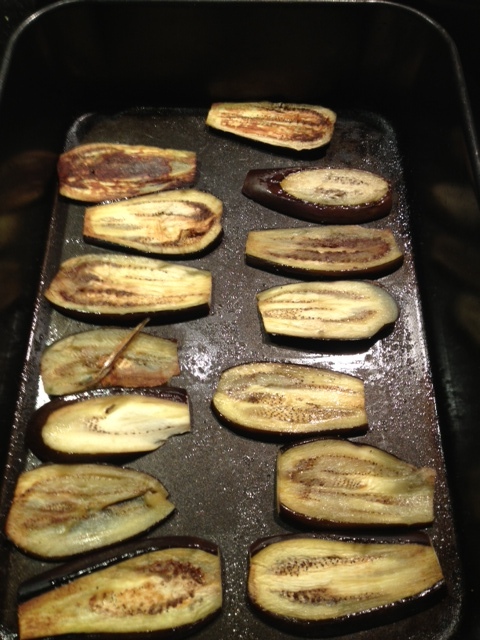 Meanwhile, grease a baking sheet with olive oil (~2 tbsp) and line up the sliced eggplant and season with a light sprinkling of salt. Cook in a 400 degree oven for 10 minutes on each side. 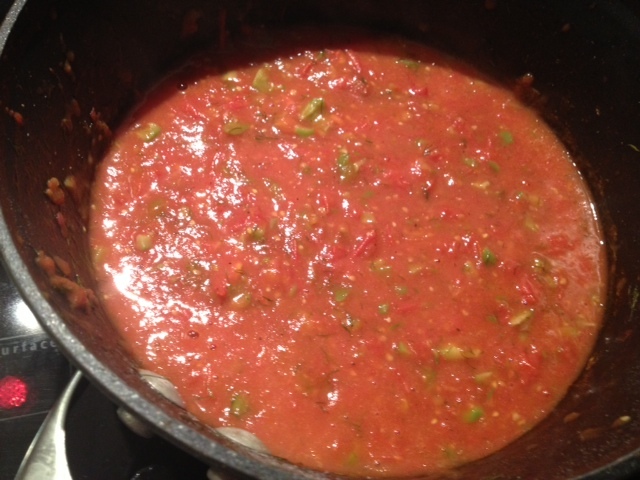 Put the tomato and olive mixture into the food processor and pulse 3-4 times to roughly chop all of the ingredients. 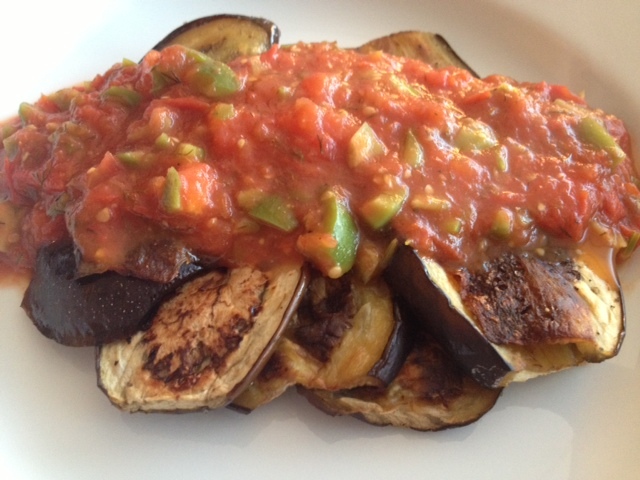 When the eggplant comes out of the oven, plate a few slices and top with a heaping spoonful of the sauce. ← Baked Butternut Squash & Burrata Pasta.